Earlier today we saw the first trailer for Star Wars The Force Awakens, and now it looks like we have another version of the new Star Wars trailer, this one has been recreated in Lego. 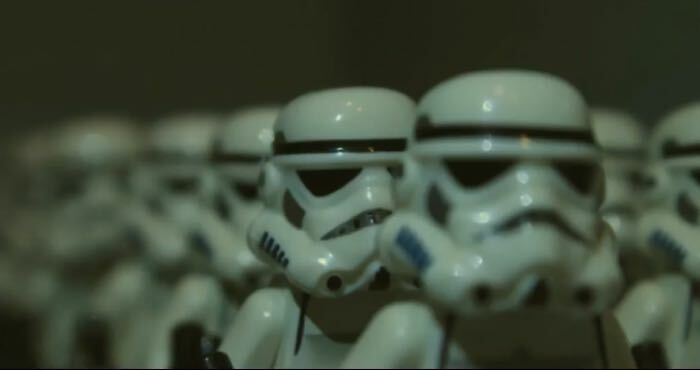 The Lego recreation of the new Star Wars trailer was put together in just a day, have a look at the video below to see how it compares to the original. Very impressive, considering that the Lego recreation of the new Star Wars trailer was put together in less than a day, we suspect we may see a few more of these fun Lego trailers over the coming weeks.